Tasteless or cool hobby for big play children? 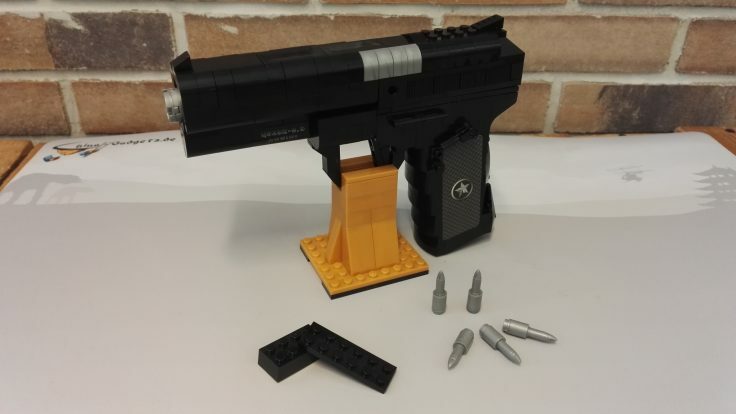 In various China shops you can now also find models made of building blocks that are based on real firearms. There have been buildings and action figures of all kinds, but I hadn’t seen this before. Well, as children we played with toy rifles too, today we are more sensitive. I don’t want to make a valuation at this point, so let’s have a look at the models. They look anything but deceptively real on closer inspection, but still come very close to their respective role models, if you consider that they are simple kits. The individual pieces consist of several hundred individual parts and are assembled according to the enclosed instructions. In the final state they are approximately as big as the real models – depending on the model sizes of up to 50cm are indicated. All “weapons” linked here are replicas, which of course cannot really fire anything. 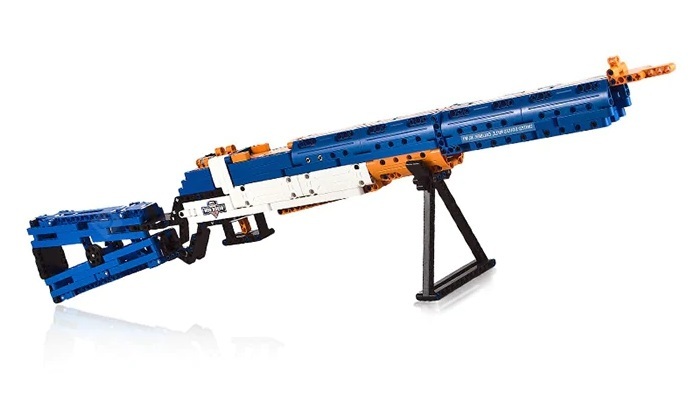 But AliExpress also has models that actually have a built-in firing device – of course this is also possible with a toy. 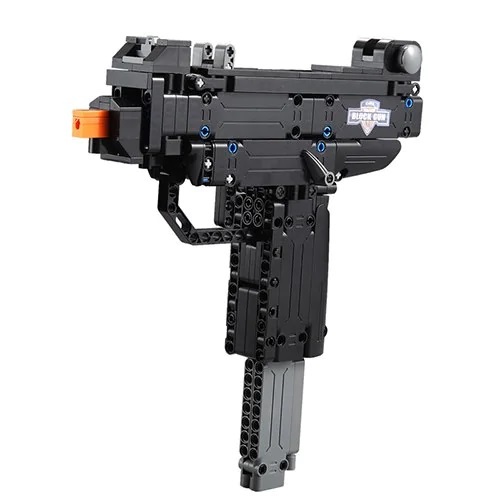 This model, based on the Uzi, can also shoot plastic parts. Although the sets are actually nothing else than the pirate ship or the knight’s castle, you have to be aware of the possible effect on the unsuspecting. If you let your child play with them, you probably shouldn’t let them play with them at school. But all in all an interesting idea. With some 600 individual parts, you can expect a lot of handicraft work before you can admire the finished work. The prerequisite is, of course, that the individual parts hold together well. What is your opinion about the toy weapons? I was curious to see what the kits would look like in reality. I don’t usually have much left for weapons, but to be honest I think the idea here is pretty cool. I chose one of the smaller versions and ordered it from GearBest, and after about two weeks the delivery arrived. By the way, the package says “from the age of 6”, but I wouldn’t let my six-year-old child play with it, so I stick to my initial reservations. The stones are exactly counted. Nothing is missing, but you can’t lose anything. 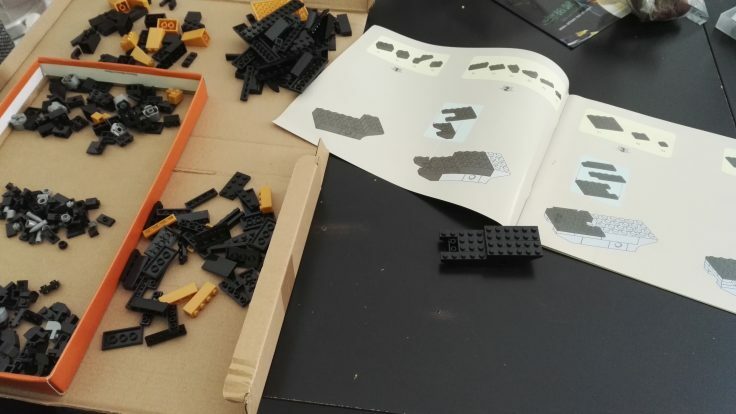 After small kits like Darth Vader and the different Pokemon had more than enough bricks, but they were anything but tight, I was curious how it was solved here. The number of stones has been counted and is exactly the same – except for one small stone, which made me seriously doubt whether I had built everything correctly. The fact that there is no replacement also means that you should not lose any parts. …and suddenly it feels like 20 years ago again. The stones are roughly sorted and packed in six single plastic bags, additionally there are a manual, two stickers for the handle and a clip called “Pry Tool”, which I didn’t use for the assembly. I guess I don’t have to explain how the building works to anyone who has played with stones like this before. Even though I was finished in about an hour, I had a lot of fun and felt like I had been transported back a few years in my life. Only that I don’t build a spaceship but a handgun. A holder for setting up is also included. I am absolutely satisfied with the workmanship of the kit. It looks pretty much the same as on the product pictures, the bricks hold absolutely firmly together and apart from a piece underneath the barrel, the building also looks very stable as a whole. Not only Xiaomi makes good kits out of so-called “clamping components”. Also such models of rather unknown brands are partly very well processed. 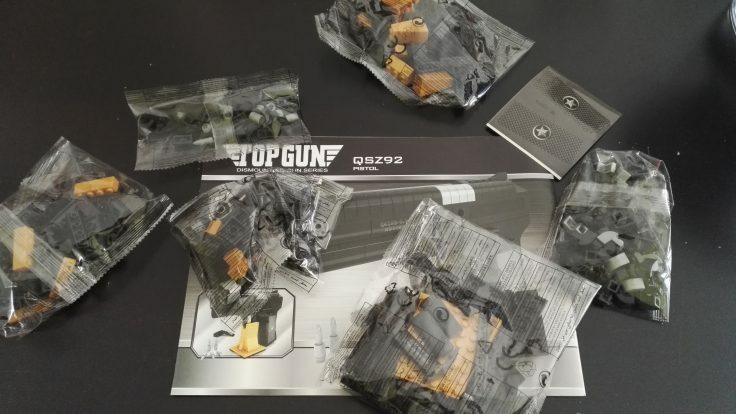 In addition, kits are delivered with the model weapons, which are not necessarily to be found with more well-known brands. 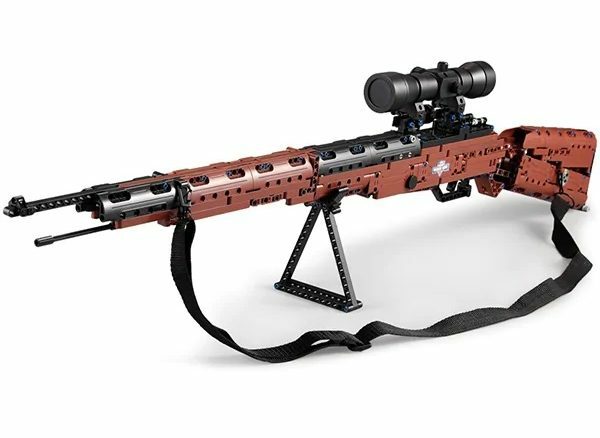 With the different rifles you can build up a really nice collection (no pun intended), provided you have the space. With a length of up to 80cm the guns don’t fit into the drawer anymore.